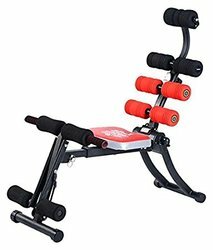 Get fit and healthy in the comfort of your own home with this products - an all-in-one, multipurpose exercise equipment. 8 Different Work Outs in One Machine. Exercise your legs, chest, arms, abs and more. Made from high quality steel and features a fully padded bench for added..